Jacco Gardner is a Dutch musician who released his debut album, "Cabinet of curiosities" in 2013. On this new album, with the exception of the drums, he plays all the instruments himself and recorded the album at his studio in an industrial estate which he described as the perfect location to record since after office hours the place is deserted and silent. So what can you expect from the album? I pressed play and started listening before picking up the biography so I had no idea what to expect, and what I heard sounded great - some beautiful psychedelic music that just begs you to keep listening. If I had to pick a band to compare his music to then there is one obvious choice - early Pink Floyd. It's got a similar mix of psychedelia and easily accessible almost pop music that make it dreamy and strange, but not so strange that it alienates anyone. There are lovely long instrumental sections in some of the songs as well as a couple of purely instrumental tracks, and the fact that one man has recorded all the instruments really is impressive. The vocals too are excellent. To get an idea of what the album is like, I suggest you check out the video below and hear one of the songs for yourself. 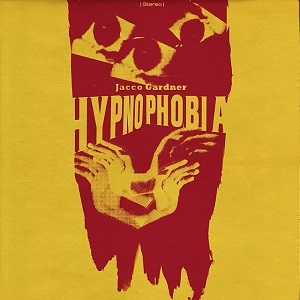 If you're a fan of early Pink Floyd then you should definitely check out Jacco Gardner. An excellent album that is definitely recommended.